Humm, didn't do a very good job lining up the photo on this one but he is still pretty cute. This was my first try at applique and embroidery, this is way cool. Lots of piecing and quilting on the runners but I really like how they turned out. Our girls weekend was a huge success!! 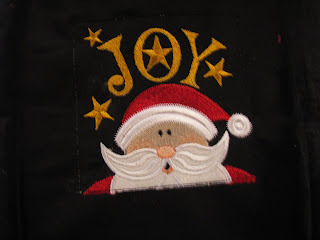 We got so many projects done (of course have lots more to do) I let may friend loose with the embroidery machine, she was able to get a dozen maybe more Christmas gifts made and ready to wrap, monogrammed towels, stadium blanket, dish towels, baby bibs, and some spirit wear for her upcoming first grand!! I made a good dent in my to do basket I took along, however we hit a local quilting/sewing shop so I added more wanta gotta do's to my pile. 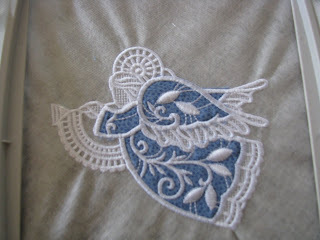 We had so much fun and were so productive we have scheduled another get r done weekend at the end of September. This round I will be hosting at our home (better get busy cleaning the house soon) I really should have blogged while I was away to show off all the cute but practical gifts my buddy made but I am no good at the all nighters! We hit the sack at 2:00AM and bellied up to our machines by 7:00AM. Even as sleep deprived as I was the laughs just kept on coming, I was sooo in need of some girl time. For lunch yesterday we had an all time southern favorite, fried balogna sandwiches. So my friend is in the kitchen fixing our sandwiches and she yells in "Do you like you balogna just warmed a little or fried up crisp?" A little on the well side is good for me. "Do you like your balogna cupped up or do you like it split so it lays flat?" Flat is the way we do ours. "Would you like your bread toasted or plain?" Lets go for toasted. "Dukes mayo, or mustard?" Just dry please. I started laughing and couldn't stop (sleep deprived remember) Hell we are talking a fried balogna sandwich here not a Filet Mignon, but my buddy wanted our special treat to be perfect and it was!!! 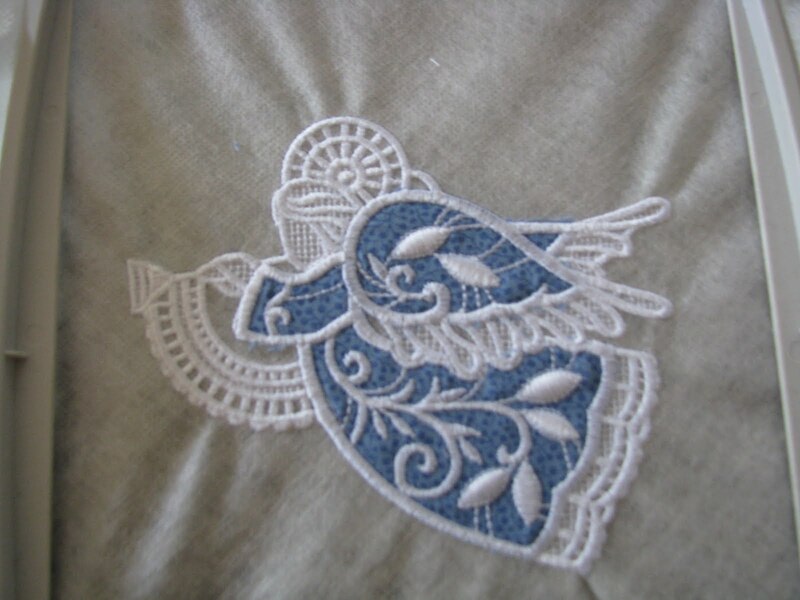 Your machine does such beautiful embroideries!! That must be fun seeing them come to life!! 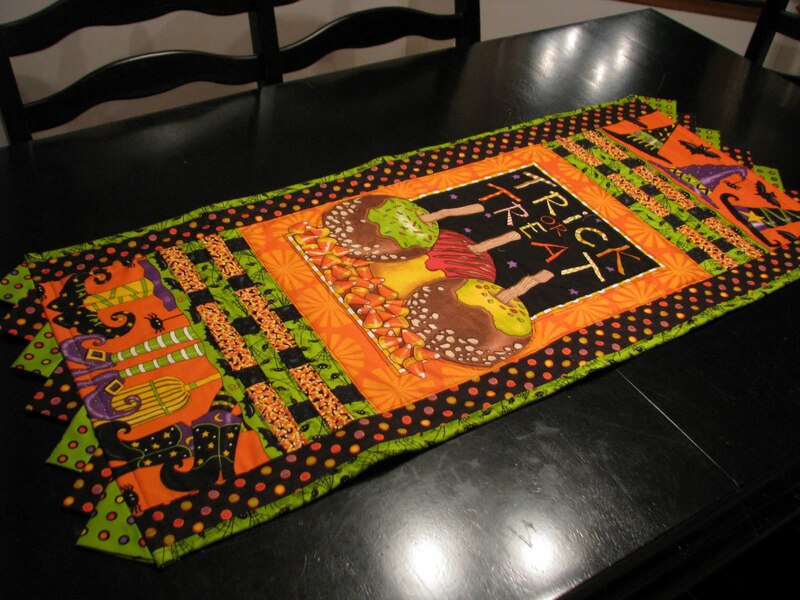 :) I love the Halloween table runner!! 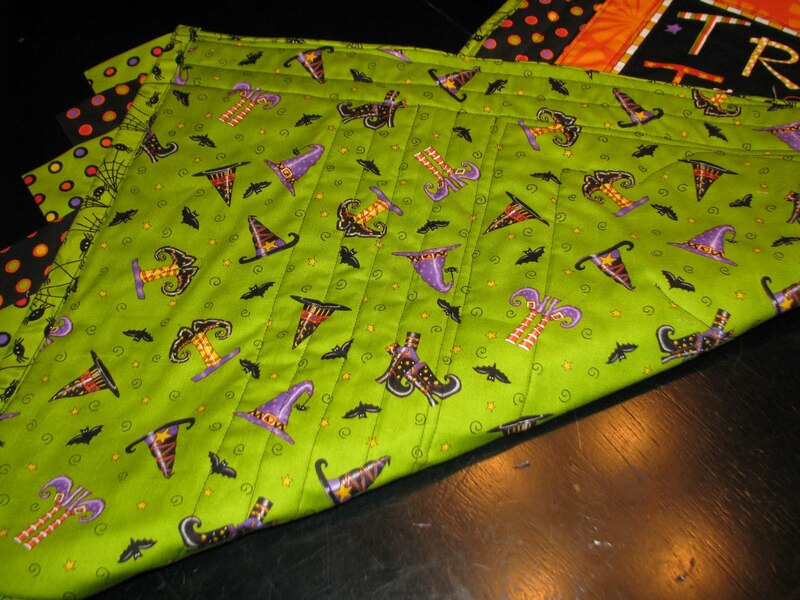 The fabric is so much fun! Great job! :) Glad you enjoyed your time with the girls, it's just much needed sometimes isn't it?! If I am not careful the machine could become an obsession! I don't think we Moms take time to do things for ourselves often enough, I need to take more me time in the future!!!! He Loves Me, He Loves Me Not, HE LOVES ME!! !